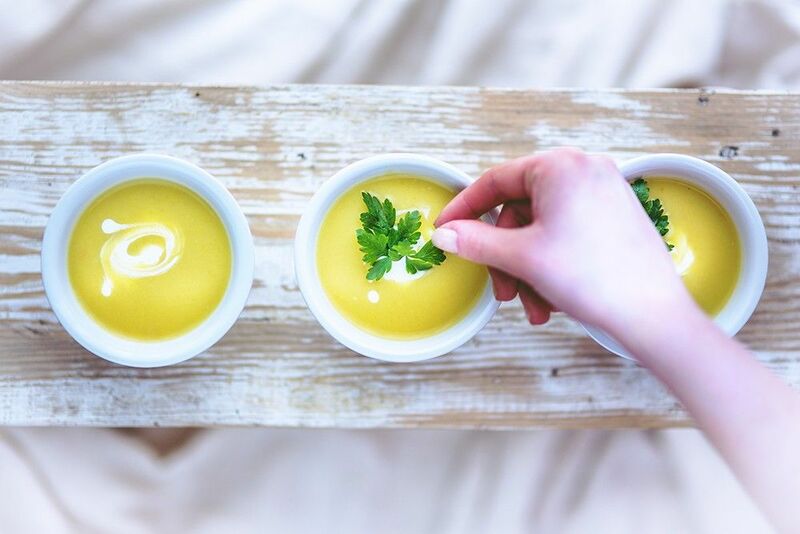 Sure, a nice hot soup is comforting when it’s cold outside, but on hot summer days too, a cold or even chilled soup is hugely welcome, because it will both refresh us and quench our thirst. For soup provides a significant amount of water, something that we don’t often drink enough of. And the best part is, making soup is very easy and inexpensive and since it allows us to consume a fair amount of vegetables, we stand to benefit from the healthy goodness of these precious foods. And finally, since it contains relatively few calories compared to its volume, soup is ideal for anyone who wants to lose weight. Beet Soup: The beet belongs to the list of top ten vegetables that have the best antioxidant potential. That’s why this soup is so healthy. Cold Cucumber Soup: Very refreshing and low in calories, this soup requires no cooking at all and is ready in no time. The added walnuts provide an interesting texture. Cold Sweet Potato Soup: With only 120 calories per serving, this soup is an excellent source of Vitamin A and a good source of potassium. Gazpacho: When tomatoes are ripe, this classic Spanish dish knows how to highlight them. It is very simple to make and always a great success. Mint-Flavoured Bisque: One serving of this recipe provides 4 vegetable servings of the Food Guide. Different vegetable types may be used, but mint is a must. Vichyssoise: Leeks and potatoes are the featured ingredients in this classic Summer dish. It is as delicious served warm, in Winter.